George and Harold have created the greatest superhero in the history of their elementary school–and now they’re going to bring him to life! Meet Captain Underpants! His true identity is so secret, even HE doesn’t know who he is! Acclaimed author and Caldecott Honor illustrator Dav Pilkey provides young readers with the adventure of a lifetime in this outrageously funny, action-packed, easy-to-read chapter book. With hilarious pictures on every page, THE ADVENTURES OF CAPTAIN UNDERPANTS is great for both beginning and chapter-book readers. And like Dav’s other best-selling books of humor, it is sure to provide even the most reluctant readers with hours of fun. I know I’ve talked a lot of Captain Underpants game recently but I have just fallen back in love with this series. I read these as a child and was inspired by the fun and cartoon style of the book. I won’t say it inspired a life long love of reading (because it was already there) but I will say it made reading so much fun! Death is nasty and not a little inconvenient. Being dead even more so. Especially when you’re tied to an amulet that has its own designs on the world. For the Princess Macoby the annoying ghost with the axe in his head who keeps hangng around is just plain irritating. Little do either of them know that the fate of the world is in their substantial and not-so substantial hands. 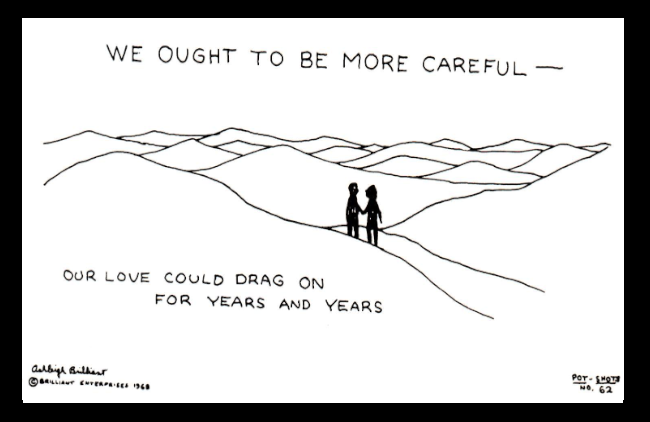 with human foibles/ This is a serious cut above your average humorous fantasy. Once again I’m looking back at a fantasy book I have always meant to review. Shapestone is a humourous fantasy novel that plays off of the tropes and plot devices of the fantasy genre. From what I remember, Shapestone is a not only a funny book but it is an entertaining one. Bibby does not sacrifice plot for humour which means that not only are you smiling and laughing throughout the novel but you’re engaged with the actual fantasy story. Written by Kurtis J Wiebe. Six Word Summary: Intrigued. Compelled. Need to read more. Blurb: Who are the Rat Queens? They’re a pack of booze-guzzling, death-dealing battle maidens-for-hire and they’re in the business of killing all the god’s creatures for profit. Meet Hannah the Rockabilly Elven Mage, Violet the Hipster Dwarven Fighter, Dee the Atheist Human Cleric and Betty the Hippy Smidgen Thief. This modern spin on an old school genre is a violent, monster-killing epic that is like Buffy meets Tank Girl in a Lord of the Rings world on crack! Release Date: March 26, 2014. Genre: Graphic Novel & Fantasy. So depressingly enthralling I can’t look away. Must. Binge. Watch. About: A Netflix original, BoJack Horseman is an animated show about the life of anthropomorphic horse BoJack as he struggles to live his life after the success of his 1980s television sitcom. Voiced by Will Arnett, Bojack is a cynical, narcissistic, sarcastic, self-obsessed, wreck of a horse whose life always seems to be on the verge of falling apart. The story of the show is one that revolves around the writing, release, and aftermath of a ghost written BoJack biography. To be honest, February has flown by for me. While certainly the days may have dragged in places, every time I look at the calendar I am surprised to see how far along in the month we are. So without further adieu, I present yo you a Small Snippet of February. Despite posting one picture and a description in the Small Snippet of January, it has taken me a month to dismantle my first Lego creation. The second of the three in one Treehouse Creator box is a small Beach hut? The house was very fun to build and looks so pretty! I think I may make this a reoccurring snippet. Leave the pretty Lego structure on display for a month and then start the next one. So look forward to next months Lego creation which is the most advanced of the three, a tree house. Dorothy Parker is one of my all time favourite poets and this, One Perfect Rose, is one of my favourite poems. The way in which the poem sets up the beauty of the rose and the love held within it, is offset by the ponderings of the limousine, which makes the poem a beautifully bitter-sweet one. The offhand almost blasé way in which Dorothy writes is both refreshing and humourous. I would highly recommended anyone to find and devour any of her work! With that I wish you a Happy Valentine’s Day! I hope you have a lovely day filled with lovely love and don’t forget the 15th of February is Cheap Flower Day! So get out there and buy some drastically reduced flowers! The newest instalment of Cartoon Network and Fresh TV/Teletoons’ Total Drama series sees contestants return, one year later, to Camp Wawanakwa. Chris, recently released from gaol on toxic waste dumping charges, returns as host to a group of fourteen contestants. These new hopefuls are a mix of the past four series, with seven from the original cast and seven from Total Drama: Revenge of the Island. 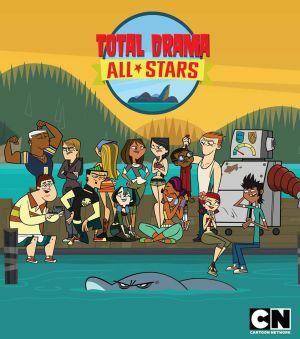 Rather than previous seasons where contestants were separated randomly, Total Drama: All Stars separates the campers into heroes and villains groups. The ‘good’ and ‘bad’ characters return in this thirteen episode season to fight for a $1,000,000 cash prize. The returning campers in the new season are Cameron, Jo, Lightning, Mike, Sam, Scott, and Zoey from Total Drama: Revenge of the Island and from the first three seasons, Alejandro, Courtney, Duncan, Gwen, Heather, Lindsay, and Sierra. As a particular favourite of mine, the return and resolution for Alejandro and Heather is a welcome one. While sporting a new strategy for the team separation, the show attempts to hark back to the first season of the show. Mixing old and new concepts, each episode focuses on either a previous challenge or on a brand new one. As always though, the season starts off with a cliff drive, or in most cases, fall. This mix up of old and new gives the show a fresh energy, with each subsequent episode flowing easily into the other. Plot is still very important to this animated, Survivor-esque show, so the creation, collapse and chaos of many relationships feature heavily. However, a larger storyline concerning a certain character subtly plays out over the whole series before culminating in a spectacular finale. The non-stop hilarity, which is a major feature of the show series, is sure to delight viewers whether they be new or old followers. Through the many twists and turns that only a Total Drama title can pull off, All Stars proves to be a very solid and enjoyable show. To celebrate the day of loving, I thought I would share a postcard or ‘pot shot’ from the aptly named, Ashleigh Brilliant. I hope you enjoy the pot shot, explore more of Ashleigh Brilliants work and have a lovely day filled with lovely love.